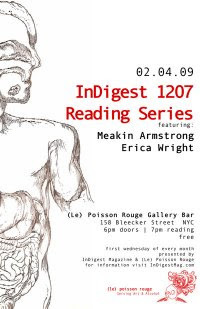 From their site: InDigest, a literary magazine that seeks to create a dialogue about and between the arts, is interested in submissions focused on Hurricane Katrina. Why Katrina? Why now? We at InDigest were extremely troubled by the politicizing of events surrounding Hurricane Gustav—the photo ops, the self-serving talk of doing good for others. . .